When it comes to conflicts, humans are more brutal than animals, and ‘war’ is the perfect example for this situation. War might become an unavoidable necessity under certain circumstances, but that is not a reason to boast about it. 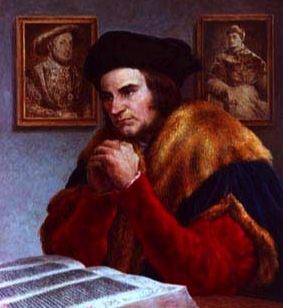 What most Thomas More said about war and peace in Utopia applies to our own situation in the recent past in Sri Lanka facing one of the cruelest internal wars in the world. More was against keeping a large army in peace time. It is not only a burden on the national coffers, but the society is at the risk of many social ills. “As robbers prove sometimes gallant soldiers, so soldiers often prove brave robbers,” he said. How many ‘war heroes’ have become robbers in Sri Lanka? The newspapers are often replete with these news. THE BOTTOM LINE of Thomas More’s argument about war is that it is a ruthless thing. Referring to the Utopians, he said, “They detest war as a very brutal thing; and which, to the reproach of human nature, is more practiced by men than by any sort of beasts.” In this sense the Utopians are different to “all other nations and think that there is nothing more inglorious than that glory that is gained by war.” Nevertheless, they do prepare for any inevitable war by asking both men and women to get training in war and military discipline because others are inclined to war. There are daily military exercises for this end. There is also some imbalance or even contradiction in what More said about war. In Book I, it is mainly a theory of war or its brutal nature and dubious motives behind why wars are executed by the Kings or the rulers. But it was different when he came to Book II or the Utopia proper. While arguing that the Utopians detest war, he also showed why the war is inevitable giving more than four five reasons. Here there is a just war theory. In Book I, during the dialogues between More, Giles and Hythloday, war took a prominent place of the discourse and the general tendency was to condemn all wars whether they are internal or external. The war was condemned as a cause of poverty, misery and crime. “Many lose their limbs in civil or foreign wars,” Hythloday argued. The examples given were the Cornish rebellion and the wars with France, arguing that “who being thus mutilated in the service of their King and country, can no more follow their old trades, and are too old to learn new ones.” It was also said that “wars are only accidental things, and have intervals,” and therefore it was proposed that long term solutions to the issues of poverty, injustice and crime should be discussed. More apparently didn’t see much point in keeping a large army in a context of peace. Because “these are kept in pay upon the same account that you plead for those idle retainers about noblemen.” As he said, the usual argument for keeping such an army is that “it is necessary for the public safety to have a good body of veteran soldiers ever in readiness.” Because, the statesmen think that the ordinary or “raw men are not to be depended on.” But the danger is that the soldiers or their generals “sometimes seek occasions for making war” because that is their profession. More referred to the Roman historian Sallust (86 BC – 35 BC), to make his point clearer. The soldiers are trained generally ‘in the art of cutting throats, keeping their hands in use that they may not grow dull by too long an intermission.” “But France has learned to its cost how dangerous it is to feed such beasts,” he added. The discussion on war continued referring to the following examples and advice. The condemnation of war also came as an attack on the ‘noblemen’ who are in general the promoters of war and chivalry. “You must cherish thieves on the account of wars, for you will never want the one as long as you have the other,” it was argued. “As robbers prove sometimes gallant soldiers, so soldiers often prove brave robbers; so near an alliance there is between those two sorts of life,” was a stronger criticism. More also gave examples at the end of Book I through the knowledge of Hythloday. He was referring to Achorians, “a people that lie on the southeast of Utopia, who long ago engaged in war, in order to add to the dominions of their Prince another kingdom, to which he had some pretensions by an ancient alliance.” However, the results of the annexation were a virtual catastrophe. It may be easy to wage war and conquer, but it is difficult to keep the people of foreign lands under subjugation, he argued. “The conquered people were always either in rebellion or exposed to foreign invasions.” There were other consequences of the war. There were some conclusions drawn from this experience as summarized below. In Book II of Utopia, a vaguely coherent ‘just war theory’ became developed. To be sure, the just war theory has some roots both in the Western and the Eastern philosophical traditions. There were some rules followed even in the Dutugamunu-Elara war in the ancient Sri Lanka in the 2nd century BC. They probably derived from the Laws of Manu or the discourses of Kautilya in his Arthasasthra. Likewise, the Western roots of the conception can be traced back to the Greek Peloponessian wars in the 5th century BC. However, Thomas More most probably derived his inspirations from St. Augustine (354-430 AD) or his follower, Thomas Aquinas (1125-1274). Both argued that it would not be right for a Christian to stand aloof if a criminal is assaulting an innocent defenseless person. Using force in this instance is justified to prevent evil. This principle could be extended to international relations as More did in respect of the Utopians, talking about two imaginary or surrogate neighboring countries, Nephelogetes and Aleopolitanes! 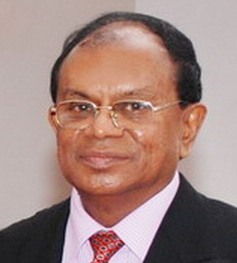 However, it is not clear whether More included this discussion on ‘just war’ in his Utopia based on wars that were continuing in Europe during that time or inspired by anything he came to know from his ‘dream island.’ It is known that Ceylon was involved in wars within and even outside, to mean the Indian sub-continent, during the 15th century and before whether they followed any ethical rules or not. Nevertheless, More’s conceptions were quite developed and came closer to what the 17th century legal philosopher Hugo Grotius enunciated in his seven principles. However, in respect of Utopia, it was said in Book II that “They do not rashly engage in war, unless it be either to defend themselves, or their friends, from any unjust aggressors.” There is another reason why they might get involved in war and that is to “assist an oppressed nation in shaking off the yoke of tyranny.” This proposition has serious implications in terms of ‘liberation ideology’ in the contemporary world and even in fact might justify outside or international intervention to that end. According to More, they do it “out of good-nature or in compassion,” as they always like to help friends. They do assist both in defensive as well as offensive wars if they were consulted before the war started. In the case of the latter, they want to make sure that it is because of a previous injustice and “all demands of reparation were rejected, so that a war was unavoidable.” Reparation in this sense is a device that can prevent a war occurring. An injustice to a country can happen in two main ways, according to More. It can happen either by the aggressive nation invading the territory and plundering the wealth or when “the merchants of one country are oppressed in another, either under pretense of some unjust laws, or by the perverse wresting of good ones.” Both they consider “a just cause of war” but the second more than the first. Oppressing anyone under the pretext of law is more heinous. The commentaries on war might be the most controversial in More’s discourse. It appears that the Utopians will go to war for good many reasons and if their population exceeds the optimal number, then they even go for war for colonization. They offer reward to assassinate enemy leaders and use mercenaries as much as possible sparing their own citizens. Their wars cannot be called patriotic or ‘just’ in these respects in modern terms. The just war is also conducted with the involvement of the Priests and their blessings and intervention. There are certain humanitarian considerations taken into account. The Priests accompany the soldiers or the citizens who go to war. The description reminds the participation of Buddhist monks in the wars in Ceylon during the pre-colonial times, but described to suit a ‘just war theory.’ The following is one description. It is undoubtedly with some sarcasm that More says that the Priests ‘first pray for peace and then victory for their own side.’ But more admirable intervention comes thereafter. In a sense, the Priests act not only as saviors of those who surrender in the war by calling to them or come and touch their garments but also to restrain the fury of their own soldiers. More further adds that it is upon this account that the other nations respect the Utopians for their, what can be today called the ‘humanitarian approach’ to perhaps inevitable wars. Because of this respect for their Priests, they not only manage to ‘save their enemies from their rage’ but often succeed in saving “their own people from the fury of their enemies.” If not for some international respect for their Priests, this obviously cannot be done. In the first place, there is a war theory in Utopia. According to More all wars are despicable. Nevertheless, they are inevitable or necessary for several reasons. In this sense, More appears to be a perfect realist. Nations or people have to wage war if there is aggression from outside. This is the first principle of a just war. Then you may have to wage war against other nations if they mistreat your merchants. Also, you may wage war in assistance of your friends, whether they are on the right side or the wrong side. It is very difficult to say this is a just war principle. This may be political realism in the long run or otherwise no one would come for your defense if there is any need. There is also another profound reason for war or intervention in the case of assisting a people who fight against oppression. This is also very clear from his discourse. However, most controversially, More justifies war for colonization if the population in your country exceeds the optimum limits. All the above constitute a justification for war. There is also a theory of just war or peace to mean mediation before and even during war. More emphasizes that all injustices should not lead to war. Reparation should be negotiated to ameliorate international injustices. However, if there is war, the effort should be to minimize the casualties, cruelty and excess. In his imagination, this should be implemented through the agency of religion and religious order. It is in this context that the role of the Priests is explained referring to the Priests in Utopia. The role of the Priests is also highlighted as explained by More both in the application of some humanitarian principles and mediation of war. Leo Tolstoy, War and Peace, (Chapter VI), London, Vintage, 2009. This argument is similar to Nicolai Machiavelli (1469-1527) in his The Prince. See Ronald J. Glossop, Confronting War (4th Edition, 2001), p. 24. The seven principles were (1) there must be a just cause (2) there must be a legitimate authority to wage war (3) motive must be to stop evil and not personal glory (4) amount of force must be proportional (5) war must be only the last resort (6) object must be peace (7) overall result must be more good than evil. George M. Logan, Robert M. Adams & Clarence H. Miller (Eds. ), More: Utopia (Latin Text and English Translation), Cambridge University Press, p. xxxii. So, Sri Lankans should be ashamed of recent civil war. What is the justification? 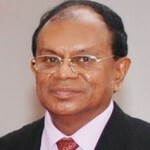 At the roots are the Jealousy, Incapability, Politics and Extremism of majority Sinhalese! Discrimination of Tamils whose education being the higher cultural value that lead to a disproportionate number of Tamils representing in white-collar professions and British showing favouritism towards Tamils for the same reason. In the cooking, and reason is “Business” but nothing despite different claims in different forms to attract innocent gullible section of their own to believe and be part of them in preparing for next war. We, as Sri Lankans left with very little or nothing to speak pride of our own nation among outsiders still. Note: My due respect those exceptional Sinhalese brothers & sisters. Not all Muslims are the same. Yet, in the long long run, some muslims screw it up for everybody. sinhala buddhists can not forget that is the only country that they can have their own culture and civilization. Definitely not all Muslims are the same, and some did screw it up for everybody and some continue to screw things up for everybody. And this applies to Tamils and Sinhalese and Christians too. First comes the Sri Lankan (shared) Culture and Civilization where every community living in is a part – This is our outer layer. Then different religions have their own culture – This is how I understand it. I agree that “Sinhala Buddhists can not forget that is the only country that they can have their own culture and civilization”. Does this also give any license to force, fight, discriminate, step on or do whatever against other community by moral or legal norms? Don’t we screw up the overall development of the country, saying “sinhala buddhists… their own culture and civilization” over and over? Sinhala “Buddhists” do not follow the pristine teachings of Buddha. Sinhala, like Tamils, Muslims and others are Paras, foreigners, strangers in the Land of Native Veddah Aethho. They do not belong in the Land. They all should get back to theit original Para-Homeland, Bengal, Orissa, Bihar, Tamil Nadu, Kerala, South India, West India etc. Why is that there are hardly ant Tamil Buddhists in Lanka, the Land of Native Veddah Aethho? Because Sinhala “Buddhism” is not considered by the Tamils, whereas there are many Tamil Buddhists in Tamil Nadu. Even Buddhaghosa was from Tamil Nadu, even though he was born in Andra Pradesh. Where can I read your comment? We the people, live in fear of injustice – criminal and political – ever since independence. We even have a Minister of (In)justice. It looks you would like to sing ” Mey Punchi Lankawa apage puthe ” without knowing that BBS Gnanasara and his patrons live by sinhing this song. Whoever sings that song, better it is for the country provided everybody has the same meaning for possessive pronoun “Apage”. Surely you are nor suggesting that our glorious ranaviruwos should be demobbed forthwith? How unpatriotic.